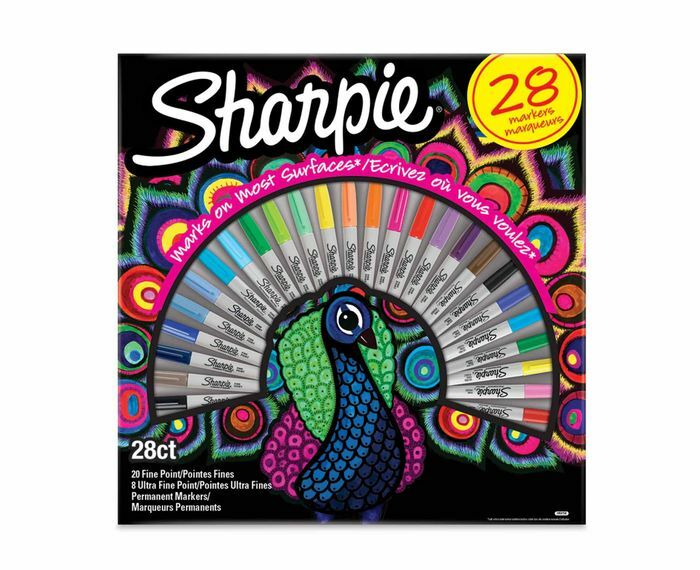 This stunning peacock inspired Sharpie set includes 28 permanent markers in a variety of different colours, perfect for all of your creative needs. The set contains 20 fine point and 8 ultra-fine point permanent marker pens, perfect for writing and colouring on a variety of different surfaces including: cardboard, photo paper, corrugate, wood, metal, foil stone, plastic, leather and many more! The bright and colourful permanent inks allow you to let your creativity flow freely, whether it be an art project, calligraphy work, or you just want to keep yourself organised. The pens have clip caps making them easy to clip to pockets and folders, meaning you can keep your creativity going wherever you may be. We have 174 Ryman deals and 55 Ryman discount codes on Latest Deals.